The All-Flash era is well upon us, and most data centers consider an all-flash product storage tier both realistic and practical. But the flash industry continues to march on. 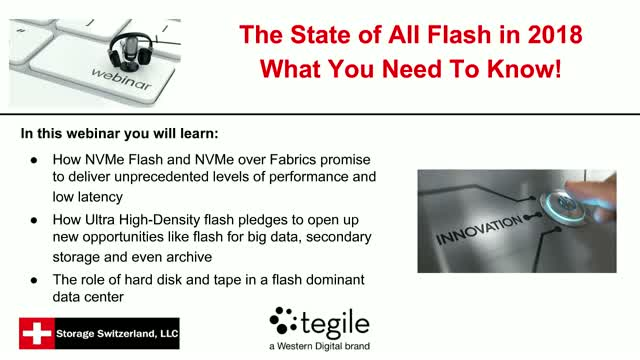 New technologies like NVMe and ultra high-density flash modules promise to continue all-flashes march to data center dominance. Join us for this live webinar and we will help you design your plan for 2018.